Anonymous have announced plans to target the Westboro Baptist Church over its plans to stage a protest this Sunday at a vigil for the victims of the tragic shooting in Sandy Hook. Church member Shirley Phelps-Roper tweeted that the group would protest the vigil, to be held in Newtown, Connecticut, saying she was planning to "sing praise to God for the glory of his work in executing his judgement". Anonymous responded swiftly by releasing a video warning Westboro Baptist Church about its intention to launch #OpWestBor to "execute an agenda of action which will progressively dismantle your institution of deceitful pretext and extreme bias". "We recognize you as serious opponents, and do not expect our campaign to terminate in a short period of time," the narrator in the video said. "Attrition is our weapon, and we will waste no time, money, effort, and enjoyment, in tearing your resolve into pieces, as with exposing the incongruity of your distorted faith." Shortly after the video went up, Westboro Baptist Church congregation members started seeing their credit card details and personal contact information being posted online in Pastebin. 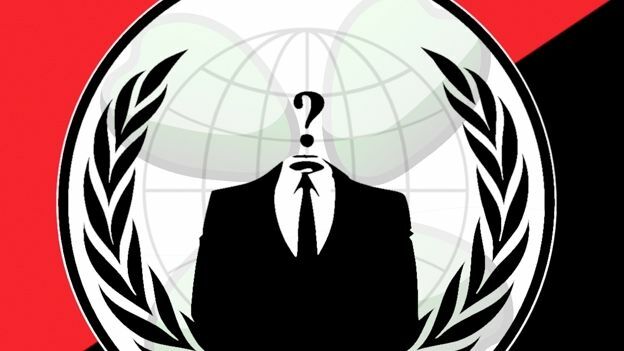 Anonymous has also highlighted an online petition calling on the US Government to recognise the WBC as a hate group. Apparently, according to Anonymous, this is only the begining of their efforts. Anonymous targeting the Westboro Baptist Church may strike some observers as somewhat inevitable. After all, when you have an ultra-right religious organisation known for extreme ideologies and a hacktivist collective with a track record of attacking those they view as oppressors sharing the same planet, it's only a matter of time before the two collide, right?